From skateboarding and bike riding, to playing soccer, volleyball, and football – injury may be inevitable whether we like it, or not. How can you minimize it all? Or better yet, how can you avoid it? Here are a few fundamentals to help you get through this season with minimal injuries and off to make more memories in a safe, fun way. A complete physical exam at the beginning of a season is a must. Some school districts require it. Check with specific associations for policies. This is a routine examination to check overall health and what the body is able to handle. So what can you expect during these visits? Doctors usually take the height and weight, blood pressure and listen to the child’s heart and lungs. They will often check sight, hearing and teeth, too, with the addition of a flexibility test. There are choices between an athlete’s physical and a regular check-up physical. Both are important, but the annual physical is a more thorough screening. Warm ups and stretching are important in any activity. It gets the blood and oxygen flowing and loosens the muscles giving them more flexibility and leeway in the athlete’s mobility, increasing the performance ability. This also means less injury since the muscles are not stretching beyond their limits. Most kids hate wearing mouth guards – it’s just a fact. But having a properly fitted guard can help prevent bloody tongues, cut cheeks and lips or becoming a toothless wonder. Everyone that participates in an activity that poses a mouth injury risk should where a mouth guard. According to Colgate’s research, between 13-39 percent of dental injuries happen while the children are playing sports. About 80 percent of all dental injuries affect at least one of the front teeth. Whether you spend a few dollars or buy the best of the best, it may reduce the risk of dental injury and the dent in your budget. Dentist offer custom-fit guards, and there are “boil-and-bite” and ready-made guards that can be found at sporting-goods stores. More than 90 percent of all eye injuries can be prevented with the use of protective eyewear. The most common eye injuries are: blunt trauma (a black eye to a facial fracture), cuts or pieces of something in the eye. Each of these can be avoided with the use of shatterproof glasses. If your child wears corrective lenses, an optical prescription may need to be added to the sports lens. The most suggested lenses are 3-mm polycarbonate, which are lightweight, impact-resistant and thin. Sore joints and muscles can be an outcome of increased intensity. Most athletes begin to feel sore 12 hours after activity, but the discomfort can peak anywhere from 48 to 72 hours later. Don’t worry! It’s not always a bad sign. When muscles are building and getting stronger, the body is repairing what is already there. Remember, if there is any question about your child’s health or injury; seek medical attention from a doctor, physical therapist or chiropractor. On the field and court or just out and about, it is always best to wear the right sizes. From shoes and cleats to helmets and padding, equipment needs to fit properly. If it is too big, or too small, the gear is not doing its job. This can lead to injury as if no precaution was taken. 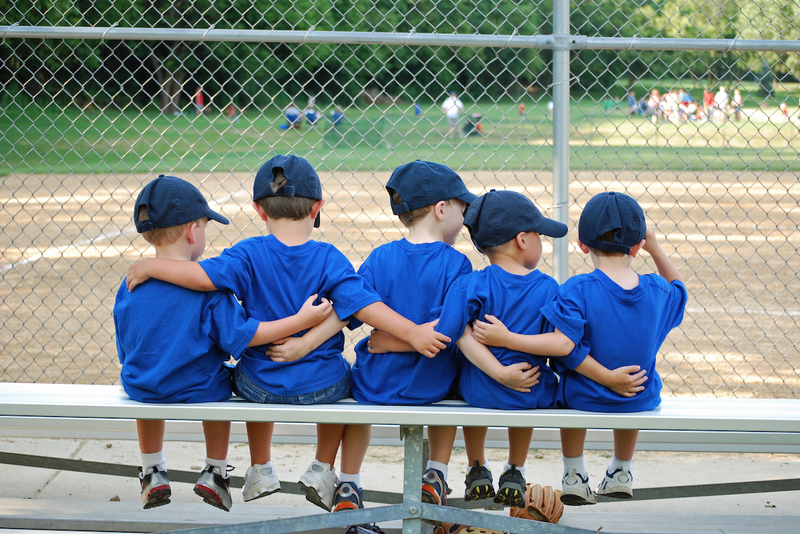 Going to a sporting-goods store and talking to someone who is familiar with sizing or talking with your child’s coach can help you to find the perfect fit! Staying hydrated before, during and after sports helps your child’s body stay healthy and strong. Thirst is a poor way to judge hydration. Instead keep your athlete on a regular schedule of fluids. You’ve done all you can to prevent injury, but as it is said–things happen-and at some point you may need medical services to help. Fortunately, each Black Hills community has reputable medical care that provides an array of services. From full hospital services and urgent care clinics to physical therapists and chiropractors, there are options for you to choose the care you need for your young athlete. More than 2.6 million children in the U.S. – up to age 19 – suffer sports injuries severe enough to require emergency-room treatment, according to the Centers for Disease Control and Prevention. Of those, Safe Kids Worldwide reported the top injuries to the body with ankles (15 percent) and head (14 percent) being the most common. Over 400 thousand child athletes in the U.S. were seen in the Emergency Room in 2012 for a strain or sprain and close to 160 thousand diagnoses of concussions. It is always better to be safe than sorry! Have the injury looked at by a doctor within a few hours of the injury. Follow the advice of the doctor completely and see a physical therapist if needed. If you do not see improvement within a few days after the injury it may be necessary to get a second opinion on the injury or see an orthopedic doctor. Avoid physical activity for a few days and try to rest the injured area as much as possible. When your child is released to resume sports, do everything to protect the injured area from further harm!